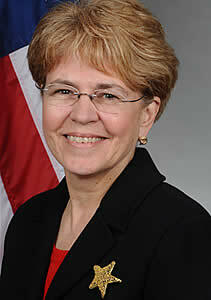 Dr. Lubchenco today commented on the new Northeast groundfish fishery report. Today, NOAA Fisheries issued the latest in a series of broad-scale economic reports, examining the economic health of the Northeast groundfish fishery as a whole. The report concludes that when all fishing across the region is analyzed, fishermen as a whole are generally doing marginally better financially, even though they are spending less time fishing and catching fewer fish than previous years. However, I am concerned that the report shows continuing negative trends within certain segments of the fishery with negative impacts on fishing communities. Partners in Massachusetts are currently completing two other finer-scale economic analyses, the results of which the Commonwealth previewed at Senator Kerry's recent hearing in Boston. This information will provide a fuller picture of the economic situation of the industry in Massachusetts. Based on this testimony, and staff discussions with the Commonwealth, I anticipate soon receiving a revised fishery disaster request from Massachusetts that is based on these new analyses. I have instructed the NOAA team to work with the Commonwealth to immediately review the request in light of the new data and determine the extent of the loss. Recognizing the continuing financial challenges in the fishery, last week I announced that NOAA would fund at-sea monitoring through the end of the 2012 fishing year because economic information, including the information in this report, makes clear that the fishery is not yet in position to assume these costs. Both this study, and input from workshops like the sector workshop in Portland, will allow us to develop a series of reforms that we will bring to the November Council meeting for review and action. The effects of declining participation in the fishery and other more localized effects may not be unique to Massachusetts. We welcome the opportunity to partner with other states in the region to engage in similar analyses. I understand these are extremely difficult times for many fishermen and their families. NOAA wants to be a partner in the success of fishermen, to sustain fishing jobs, to create a profitable and healthy future for fishing communities and to maintain healthy marine fisheries.